Gimbalmart is an e-commerce entity selling a wide range of 3 axis gimbals for better photography and videography stabilization. From foxconn technology group, the manufacturers of iPhone, comes ‘3 axis Gimbal stabilizer’ a product that enables optimum quality photo & video captures. It is made of alloy aluminum which is used in aerospace industry and iPhone that ensures a high quality. Gimbalmart’s marketing and sales department is entirely managed by Tech trends. Surfacing a premium quality device that lets you stabilize your photo and video captures is Gimbalmart’s apex vision. Striking the market with the manufacturers of iPhone! Instigated by a group of zealous people, 3 Axis Cam is a venture of Global Audio Text Solutions where a bunch of passionate and prodigies work together to make your memories more stable than ever! At 3 Axis Cam, we make invincible 3 axis gimbal varieties - Trio and UoPlay Gimbal, suitable for your gopro 3 axis gimbal cameras as well as for your smart phones. Our 3 axis gimbal stabilizer varieties - UoPlay and Trio are proficient in making your pictures and videos perfectly stable. With 3 Axis gimbal technology, you never get that shaky and wonky effect back. The ultra-flexibility and splendid functionality of these wonderful products will leave you amazed, get your 3 axis gimbal now to experience an impeccable photography and videography! The Invention named Gimbal is an oscillated support that allows the rotation of an object. A set of three gimbals, one mounted on top of the other with orthogonal pivot axes, may come in use to allow an object mounted on the innermost gimbal to be unaffected by the rotation of its support. This technology comes in very handy during the pitching and rolling of ships as the gyroscopes, shipboard compasses, stoves, and even drink holders typically use gimbals to keep them upright with respect to the horizon. Gimbals are known from the time before European Middle ages and some authors support that gimbal didn’t have a single identifiable inventor. Enabled with different intelligent modes, 3 axis gimbal stabilizer comes in two variants namely UoPlay and Trio which are used to capture best shots (still & moving). A lot of travel enthusiasts, vloggers and rappers are utilizing ‘ Uoplay Gimbal ’ and ‘ Gimbal Trio ’ 3 axis gimbal technology to display their work proving the market presence of Gimbalmart as very strong. This exquisite 3 axis gimbal stabilizer is going to amaze you in all aspects! This excellent 3 axis gimbal stabilizer has got a gyro, an accelerometer, a magnetic sensor and a 6-axis IMU (Inertial Measurement Unit) to avoid that shaky effect in the pictures. It can be operated in multiple operational modes and can be switched according to the requirement. 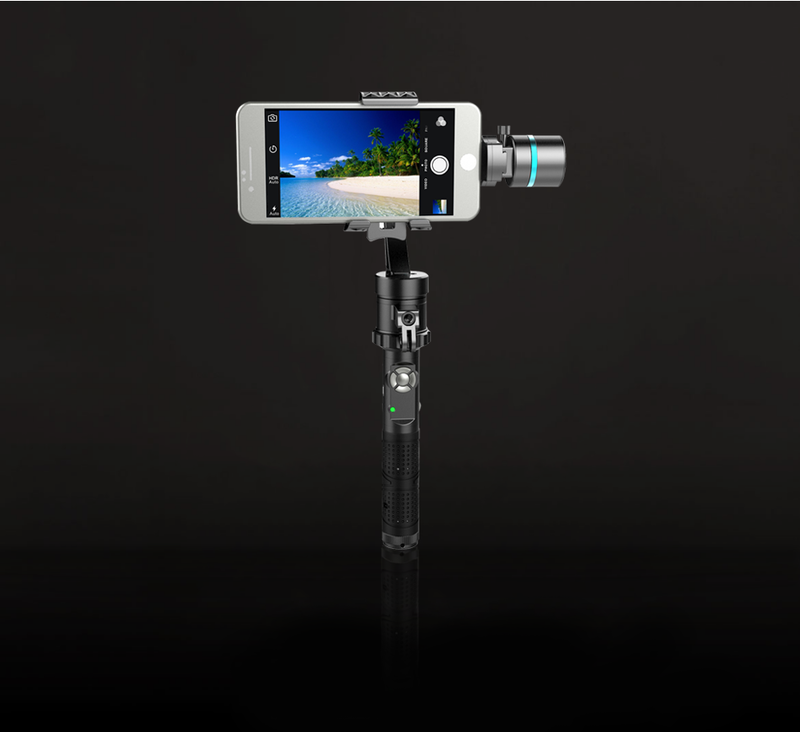 It has amazing compatibility with smartphones, GoPro 3 axis Gimbal stabilizer & Action cameras. Smart power indication is another amazing feature as it has power requirement sensor and low power indicator. It has a powerful battery with 4-5 hours of power backup. This handheld detachable design can be used precisely as a handheld device or via remote! Trio 3 axis gimbal stabilizer is now as flexible as never before! It knows how to hold your smartphone to keep those wobbly pictures away! This excellent 3 axis gimbal has got a gyro, an accelerometer, a magnetic sensor and a 6-axis IMU (Inertial Measurement Unit) to avoid that shaky effect. You really don’t need any tool at all to adjust it, it’s easy to go with Trio to make your memories truly amazing and more importantly stable! It has got a truly compatible hardware to mount the counter weights to the device as well as to connect it to some other devices. Its highly compatible hardware makes it absolutely suitable for wirefree and sports mount. You may extend it via ¼” 20 threads which makes it perfect to extend for self-shooting and higher-angle shooting. So many modes to flaunt in! Trio 3 axis gimbal stabilizer has got three amazing modes of operation which add on to its functionality and make it a truly exquisite gadget for all. Whether you are a professional photographer or a gadget lover, you will definitely love it. Well, here comes your best travel buddy that won’t let any memory skip out of your heart, no matter what- UOPLAY, the 3 axis gimbal stabilizer from Gimbalmart. Uoplay 3 axis gimbal stabilizer is your perfect mate for holding your smartphone or gopro 3 axis gimbal stabilizer camera with superb stability Carry it with yourself to mountains, rivers, orchards, beaches or just anywhere, pair it up with your smartphone or gopro 3 axis gimbal stabilizer, and there! 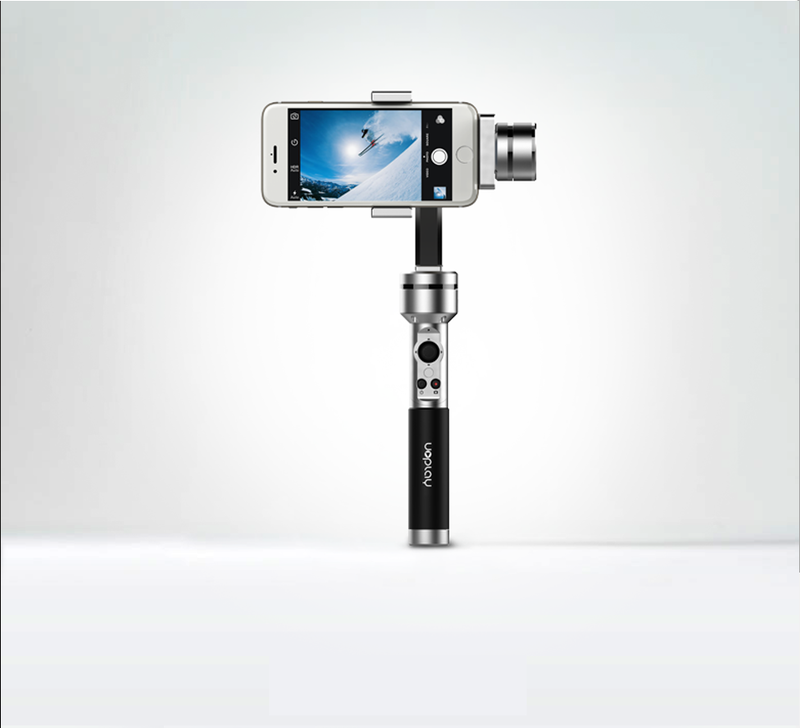 You’re good to capture shakeless videos & perfect panoramas. Capture your stories, journey and adventures that you fail to put into words, in the best wayr. Owing to its 3 axis stabilizer accessibility, this variant of 3 axis Gimbal stabilizer comes with 4 batteries and an USB cable used as a charger and an extra axis used for heavy smart phones like IPhone 8 plus. Your memories can be made more stable with Uoplay 3 axis gimbal stabilizer! It has 4 different operating modes which can be chosen according to your requirements. With Uoplay 3 axis gimbal stabilizer you have the ability to shoot in different framing modes. There is no risk of hitting your phone against gimbal as it is equipped with Buffering Turn-off technology. Shoot from any angle as it is flexible and easily bendable. It is easy to handle as it is very lightweight. It has high precision Brushless motors as you don’t need to adjust your smartphone or gopro gimbal camera while shooting. No other 3 axis gimbal stabilizer can provide ultra-protection to your smartphone and 3 axis gopro gimbal stabilizer camera, it descends very gently. The Bluetooth connectivity of UoPlay 3 axis gimbal is just amazing, you can use it while clicking pictures or shooting videos with immense convenience. You can extend it too! A ¼” long screw thread is provided at the bottom of the device to extend it or connect it to a tripod or some other accessories/smart devices. Mount any smartphone with 5.5” to 6.0” large screen size easily. These counter weights let you keep the balance perfect, you can mount or unmounts them with immense convenience! The only things that you own which will forever be worthy are your travel memories. The mind-pictures of places which you’ve been hoarding like a happy miser. The memories that you keep as a return ticket to the moments otherwise lost. A 3 axis gimbal stabilizer is basically a hinged support that firmly holds your camera or smartphone in an upright position and thereby lets you click perfectly stable pictures and videos. In earlier times, mechanical gimbals with single-axis rotation were used for this purpose. Later on, these gimbals were updated to have two-axis rotation for better stability and providing better flexibility to your device. These gimbals make use of gravitational force for providing stability to your device while it is rotating on a single-axis, of course the mass of the camera or phone is also an important factor. However, continuous improvements and newer ideas in the gimbal industry introduced electronic gimbals which soon replaced mechanical gimbals completely. The obvious reasons for this replacement include some advantages and features of electronic gimbals like three-axis rotation, improved stability, stabilization of on-board moving objects, lesser camera shakes and jitters, no impact of gravitational force, and independent projection. Camera shakes and vibrations are not acceptable in handheld shooting and on-board footage, a 3 axis gimbal stabilizer serve this purpose well in stabilization systems which are projected to offer an immense ease of handling camera operator. Moreover factors like abrupt speed changes and g-force in corners do not affect the stability and performance of an electronic 3 axis gimbal; three brushless motors keep the level of your camera intact as it moves on all three axis and provides you an immediate response. In addition, a robust microcontroller along with a set of electronic gyroscopes and accelerometers (together known as micro-machined inertial measurement unit – IMU) lets the electronic 3 axis gimbal stabilizer to respond to every slight movement and keeps the camera stabilized utilizing the motor assembly. An electronic 3 axis gimbal can easily level a camera or smartphone in case of turns, vibrations and changing directions whereas a mechanical 3 axis gimbal stabilizer suffers from inertia and negative gravitational force when used for shooting on-board moving objects. Because of these amazing features and excellent performance of an electronic 3 axis gimbal stabilizer, it is preferred over a mechanical 3 axis gimbal and have replaced it completely in the industry.